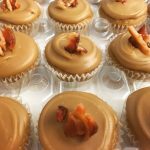 My first cupcake challenge! I was asked by one of my coworkers to make his favorite Bakers Square, French Silk Pie into a cupcake form. My response to that, was naturally, how bout I just make you a French Silk Pie instead? 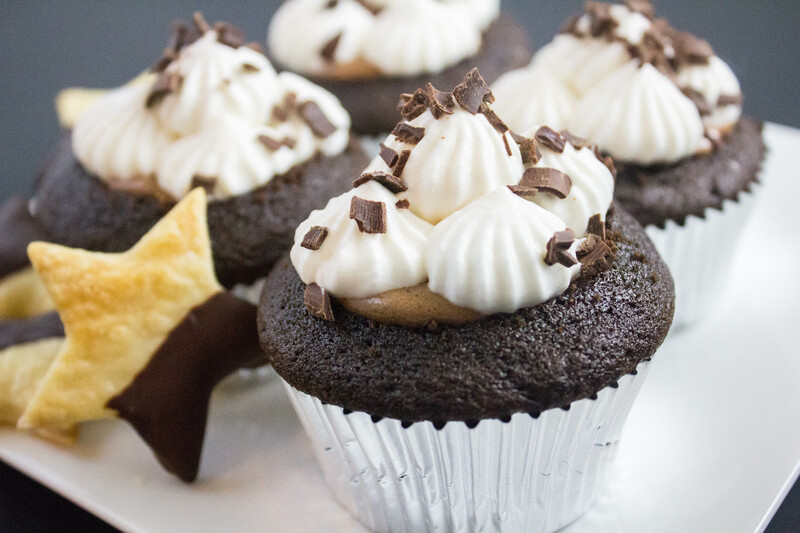 Pie is pie, cupcakes are cupcakes… two different names for a reason. He said no, I want this pie to be a cupcake. Ha! Well, against my better judgement, I created a French Silk Pie cupcake. And really, this experience taught me that any pie can be turned into a cupcake… so welcome to a new world of possibilities!! More pie-cupcakes coming soon, thanks to Tony as his creative brain! I legit lost sleep worrying that these would be a disappointment.. Is there seriously anything worse than being challenged only to fail the challenger. And when you are experimenting and riffing in the kitchen, it’s not always happy results. I actually messed up at one point and considering tossing the whole thing and trying again some other time. But luckily with a few google searches I was able to reverse my mistakes (of course the corrected recipe is posted below). So as you can imagine, the ultimate test was when Tony took the first bite yesterday morning as soon as I walked into work. “This is exactly what I hoped it would be” . Followed by him downing several more 🙂 After sharing them with others, there was nothing but rave reviews. Even for the people that said, hmm I don’t really like chocolate. They LOVED them even still. I’ve been doing my cupcake Friday’s for about 1.5 years at my job, and yesterday our Finance SVP told me, this is by far the best cupcake I have brought in. So that’s saying a lot for sure. 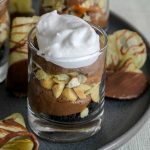 If you like chocolate mousse or french silk pie, cupcakes and fresh whipped cream = this recipe will be right up your alley! Only thing to keep in mind if you are bringing these to a gathering, they have to stay refrigerated until serving. Otherwise the filling and whipped cream will not stay firm. Although it’s an investment of time, I hope you find that these are absolutely well worth the effort. Combine all dry ingredients into a mixing bowl and mix thoroughly to combine. Add the eggs, one at a time. Then the vanilla extract and sour cream. Scrape the sides and bottom of the bowl as you combine the ingredients to be sure the ingredients are evenly distributed. Continue to mix for 1 minute to aerate the batter. Fill the cupcake liners 3/4 full (about 1/4 cup batter). Bake for 13-15 minutes or until a toothpick inserted in the middle comes out clean. Cool on a cooling rack. Continue to cook the sugar/egg mixture for about 6-8 minutes or until mixture reaches 160° and coats the back of a metal spoon. Remove from the heat. Stir in chocolate and vanilla until smooth. Remove from heat. Cool to lukewarm (90°), stirring occasionally. In a small bowl, cream butter until light and fluffy. Add cooled chocolate mixture and whiskey; beat on high speed for 5 minutes or until light and fluffy. In a large mixing bowl (cold metal mixing bowl ideal), beat cream until it begins to thicken. Add confectioners' sugar; beat until stiff peaks form. Measure out 1 1/3 cups of whipped cream and fold carefully into chocolate mixture. Refrigerate reserved whipped cream for topping. Cool the finished pie filling for at least 2 hours (or freeze for 1 hour) to thicken and set the mixture before distributing into cupcakes. 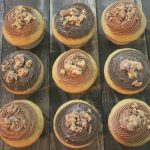 Cut a 1 inch diameter circle out of the middle of each cupcake, leaving about 1/4 or 1/2 inch edge and bottom of the cupcake. Remove the bulk of the middle inside by scraping it out with a spoon. 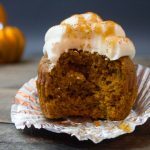 The idea is to have the pie filling will be sitting inside of a cupcake shell. You can remove less cake if desired. Discard the removed cake. Spoon the French Silk filling into the cupcake holes until the filling is level with the top of the cupcake, but not spilling over the edge. If desired, add 2 tablespoons of Bailey's to the reserved whipped cream and whisk together until incorporated thoroughly. 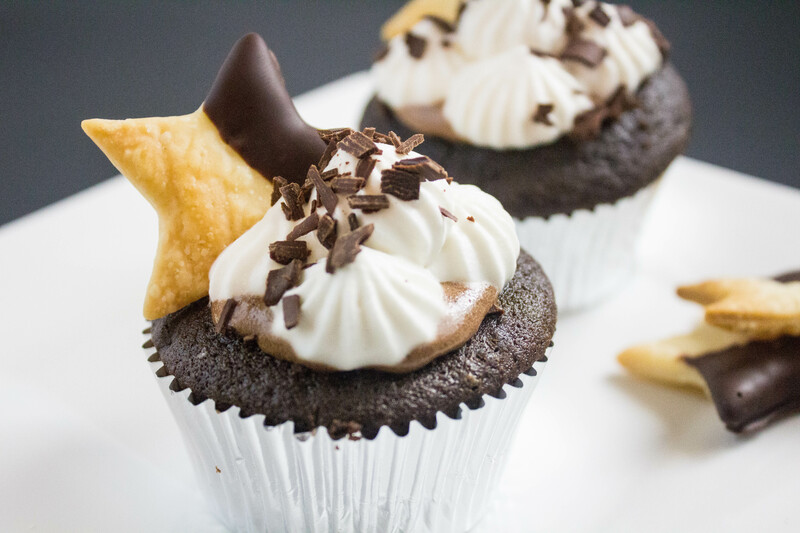 Put the whipped cream into a prepared piping bag and pipe as desired onto the tops of each cupcake. 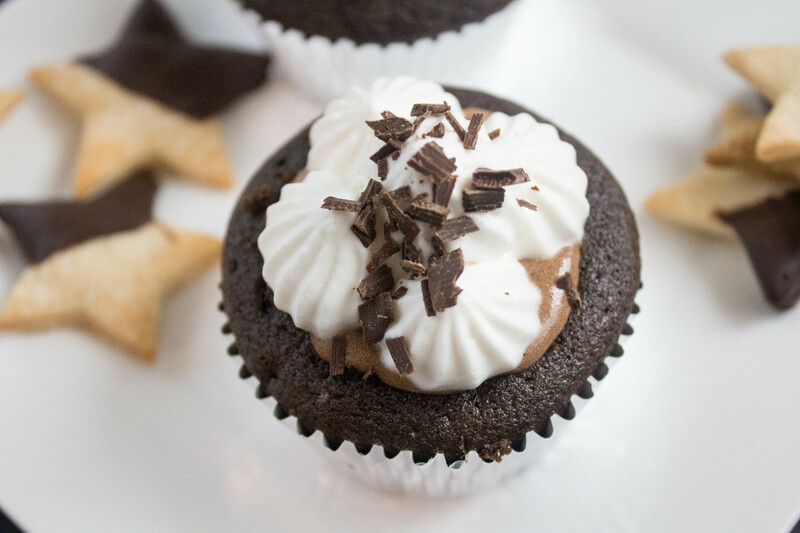 Using a vegetable peeler, peel tiny curls of the dark chocolate bar over each cupcake. Refrigerate the cakes for a few hours before serving to allow the filling to set even more. Pre-heat oven to 425 degrees. Lay out each layer of pie crust and using a cookie cutter of your choice, cut small shapes of crust and lay them on a cookie sheet. Bake for 5-6 minutes, or until the crust is nice golden brown. Allow to cool for a few minutes. Meanwhile, heat half of the chocolate chips on a small bowl in the microwave for 45 seconds, stopping each 15 seconds to stir. Once it's mostly melted, remove and add the remaining half of the chocolate chips and stir quickly to melt them into the warm melted chocolate. Add a teaspoon of softened butter and whisk together. 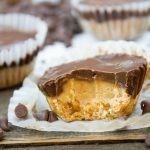 Are there ingredients missing from the filling?